Qatar Airways has become the global launch partner of Rolls-Royce’s new Virtual Reality training tool. The innovative tool is designed to provide engineers with Rolls-Royce Trent XWB refresher training in a virtual environment without the need for a physical engine to work on. Qatar Airways engineers will be the first in the industry to experience this cutting-edge technology. 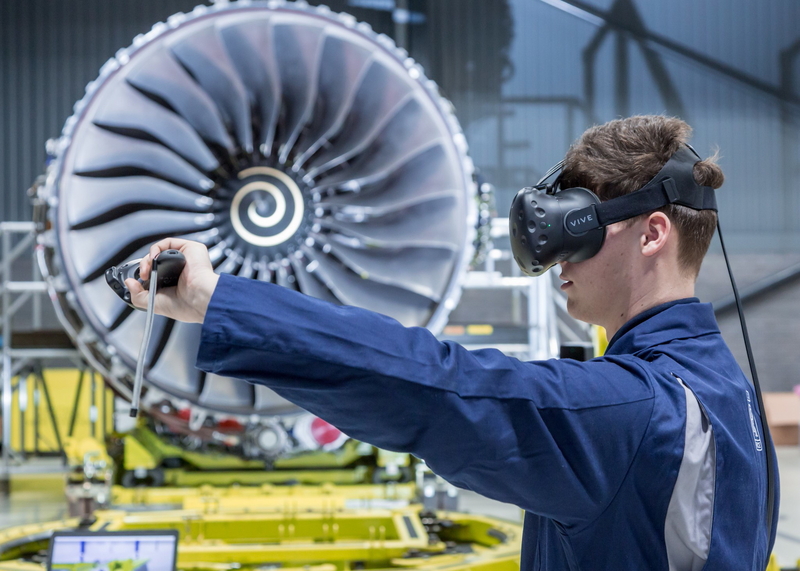 The Rolls-Royce Virtual Reality training platform trial follows Qatar Airways’ first venture into the world of Virtual Reality when it became IATA’s global launch partner of RampVR in August 2018. That system, pioneered by IATA, utilises the latest virtual-reality technology to simulate real air-side conditions for ground handling and ground service operator training. The RampVR system is being used by Qatar Airway’s Talent Development department to train their ground operations teams. Qatar Airways currently operates a modern fleet of more than 250 aircraft via its hub, Hamad International Airport (HIA), to more than 160 destinations worldwide. See latest HD Video Interviews, Podcasts and other news regarding: Qatar Airways, Rolls-Royce.